Our historic seaside inn is located in Tenants Harbor, Maine, a small, working fishing and boating harbor village on a rural peninsula. It is a perfect location to discover Maine's scenic coast, its authentic working harbors as well as the culturally rich Rockland and Camden areas, just a short drive away. Whether you want to explore the rocky shores, kayak secluded harbors or the St. George River, or take a nature cruise from nearby Port Clyde, the St. George peninsula has what you are looking for. End your day at our romantic inn with refreshments and relaxation on our wrap-around porch overlooking our scenic harbor or enjoy our cozy pub. 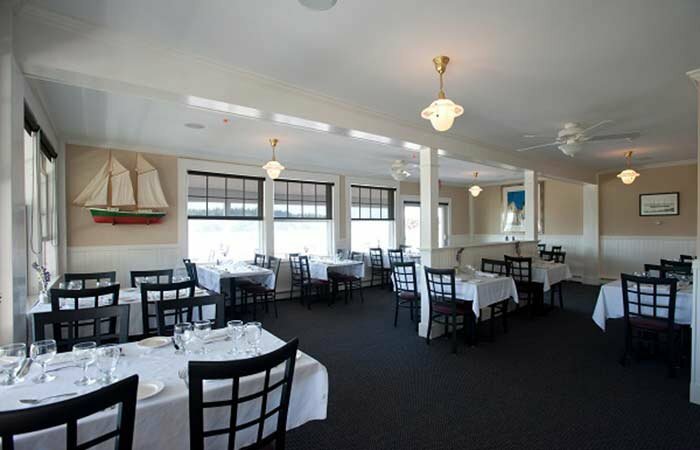 The East Wind Inn is also centrally located on the extensive Maine Coast, just ninety minutes drive from Portland and 2 and ½ hours’ drive from Bar Harbor and Acadia National Park. 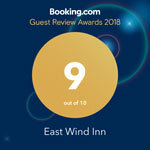 Whether you are working your way along Maine’s beautiful coast and looking for a perfect overnight stay or looking for a central location to explore Maine, the East Wind Inn meets your needs. The East Wind Inn is a natural choice for a small, intimate Coastal Maine wedding with its simple elegance and warm hospitality. Our spacious lawn faces an unspoiled harbor, offering ample space for an outdoor event. The on-site Wan-e-set Restaurant, Quarry Tavern and wrap-around porch offer flexible options to enhance your event. The East Wind Inn can also facilitate classes, group retreats or special events. Each room, suite, or apartment in our historic buildings - the main Inn and the Meeting House - has a glorious view of the harbor and outlying islands. Each room is appointed with comfortable furniture and locally acquired antiques. 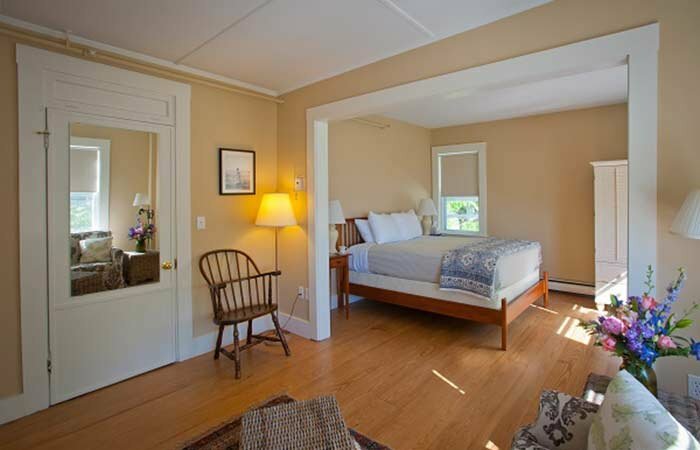 The East Wind Inn is located in the heart of Midcoast Maine at the gateway to Penobscot Bay—one of the most beautiful stretches of the Maine coast. 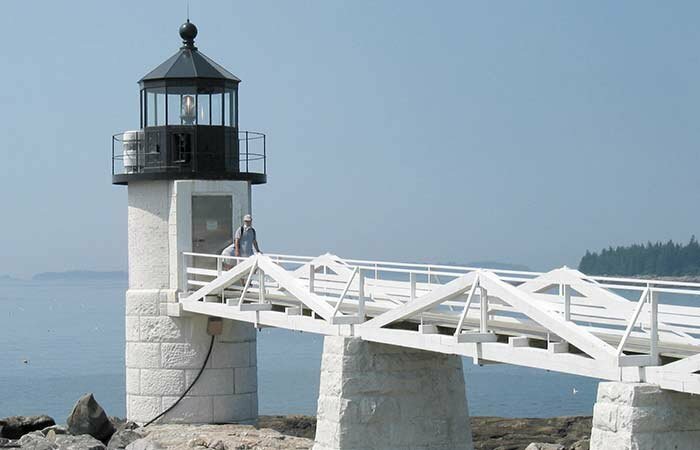 Here you'll find dozens of islands, historic lighthouses, and quiet little protected harbors filled with working lobster boats. The Wan-e-set Restaurant and the Quarry Tavern provide exceptional dining experiences for our guests and the public. Enjoy your breakfast, complementary with your room reservation, in the Wan-e set, overlooking our beautiful harbor. In the evening, sample our local fare and socialize with friends in either the Wan-e-set or our more informal Quarry Tavern. Click on the picture above to see our menus.